Today, Sen. Boozman is scheduled to stop by the University of Arkansas Rice Research and Extension Center in Stuttgart, a rice farm in Stuttgart and a crop duster in Sherrill. 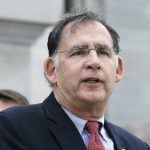 On Thursday, Boozman is to tour the University of Arkansas at Monticello’s forestry, agriculture and natural resources department, meet with farmers at the Pickens Store in Pickens and hear about wetland reserve easements in Collins. Arkansas farmers are concerned about the escalating trade tensions between the United States and the rest of the world, they told U.S. Sen. John Boozman on Tuesday. “Trade, I know, is a huge issue. … We’re all concerned about that,” Boozman told an audience of roughly 20 people. The Republican from Rogers answered questions about the new agricultural tariffs and other issues during a meeting at Dow Brantley Farms in Lonoke County. The Brantleys, who have farmed the land for generations, now oversee 10,000 acres of agriculture land, raising rice, soybeans, corn and cotton. China has slapped a 25 percent tariff on all four crops this year. Boozman defended President Donald Trump’s trade policies, portraying the Chinese as the bad guys. “You all can compete with anybody. You do a tremendous job. We’re the cheapest, safest food supply. … But we are disadvantaged in many ways, particularly with agriculture,” he said. Rick Bransford, who farms near Pettus, told Boozman that he’s worried about the long-term consequences of Trump’s trade policies. “I think this tariffs business, we’re going to lose long-term markets that we … have worked on for years to try to get into,” he said. “This is really going to affect us this year and for possibly many more years down the road,” he said. Recent tariff increases by China could “prove to be devastating” for the Mississippi Delta, Walton Family Foundation researchers say. In the American heartland, the effect of these retaliatory measures “will likely be substantially worse than on the rest of the country,” foundation researchers Jonas Crews and Ross DeVol wrote in a research brief released Tuesday. In an interview, DeVol said farming is “vital” to the economic well-being of many counties in the Delta. “The Mississippi Delta has a very high concentration of these crops,” he added. In an interview, Boozman portrayed the Chinese as the aggressors. “We don’t want an all-out trade war,” he added. Addressing the group in Lonoke County, Boozman noted that the White House has called for $12 billion in emergency aid for farmers to help them deal with the affects of a wide range of tariffs. Randy Veach, president of the Arkansas Farm Bureau, said the extra assistance would be welcome. “The $12 billion could be a really big help,” he said. “Our farmers and our ranchers, we’re not looking for welfare or a handout or anything like that, but our income has been drastically affected,” he said. Arkansas Farm Bureau Vice President Rich Hillman suggested more help may be needed if the trade impasse continues. “This $12 billion’s going to be spread pretty thin when push comes to shove, but we appreciate you doing what you’re doing,” he told Boozman. The goal, he maintained, is fair trade. “You let us go head-to-head with them. We’ll beat them every time,” he added. In addition to trade, farmers also asked questions about the farm bill, immigration policy and environmental regulation. The Environmental Protection Agency has become more farm friendly since Trump took office, Boozman argued. “You’ve got the friendliest EPA that you’ve had in decades,” Boozman said. Boozman’s stop in Lonoke County was the latest on his four-day agriculture tour. Starting Monday morning at the Don Tyson Center for Agriculture Sciences in Fayetteville, he visited an Angus cattle ranch in Lavaca, a peach orchard in Lamar and a cattle ranch in Center Ridge.